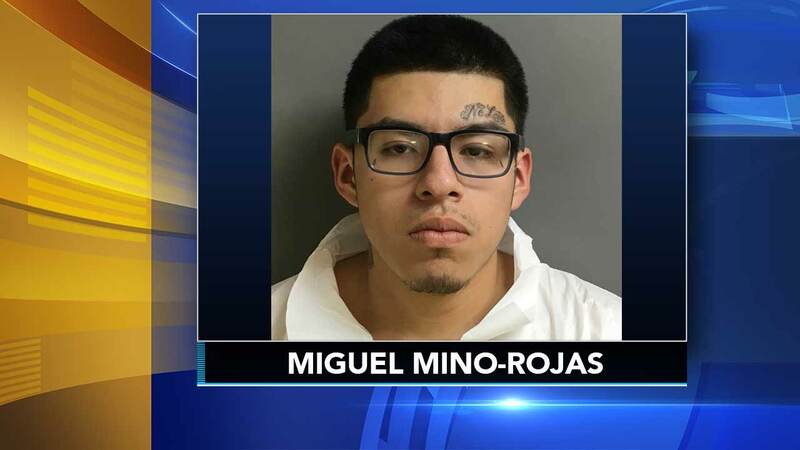 Arrest in shooting deaths of two men in Norristown, Pa.
NORRISTOWN, Pa. (WPVI) -- A 20-year-old man is behind bars in connection with the shooting deaths of two men on a Norristown street early Monday. Miguel Mino-Rojas of Norristown is charged with two counts of First-Degree Murder and related charges. Authorities say he shot and killed Isaias Martinez, 53, and Guillermo Rivera-Rubio, 44, in the 700 block of Chain Street just after 12 a.m. Monday. 2 shot and killed in Norristown: Jeannette Reyes reports during Action News at Noon on February 26, 2018. Both victims were shot in the head with a .45 caliber revolver, which police say they found on the suspect when he was arrested. Investigators say the murders happened during a cocaine transaction. Mino-Rojas has been ordered held without bail. A preliminary hearing is set for March 14.